When a book starts off with the author telling you that the story was inspired by true events, then you know it’s going to be a passionate and emotional ride. I only rate a book 5 stars if it hits me in the gut and this one did, massively. The blurb is vague, and I think it is vague for a reason. This story is best read blind so my review will contain few details as to the actual story. Charlie Stone is a twenty four year old tattoo artist, living in New York City. She is in a bad relationship with a man called Bren who treats her badly and she is seriously starting to doubt why she is still with him. 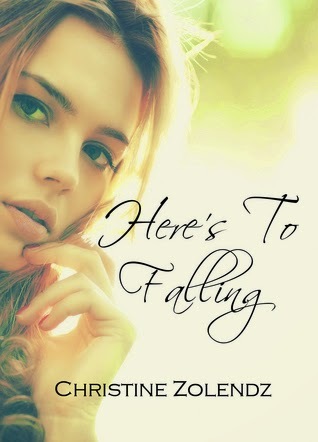 She is resigned to never finding true love again, having lost it when she was seventeen. We flit from past to present, flawlessly I might add, and we are introduced to a younger and more innocent and happy Charlie who has two best friends, Joey and Jase. The innocence and loyalty that the three of them experience was a joy to read, and we journey with them right up until they turn 17. As with life, the older you get, the more jaded you become and it kicks you in the face just when things are on the up. This is a story about love and friendship, and second chances. This was not a love triangle but as with most teenage trials and tribulation it comes with a little angst so be prepared to want to shout at the characters to sort themselves out. I loved the sexual tension, and the hero was a true sweetheart, I loved him. “What do you say, Charlie? Want to try jumping down the rabbit hole again? I promise I’ll be better than any adventure you could ever read. Charlie was a great character, feisty and fun in her younger years but very different as an adult due to her past which was understandable. For the first half of the book, I was unsure as to how everything would all come together and I was glued to my kindle trying to work out how everybody fit in and where it was leading. When I hit the second half, boom – I was an emotional mess. It was a really beautiful story and it all came together so nicely. I really did love this one, and considering I didn’t even know it was coming out until the day I received it on my kindle, it was the best surprise. This is a standalone novel, told in dual POV, but predominantly from the POV of Heroine.